Gone Girl is definitely not for people seeking lighthearted entertainment, but most Book Club members felt it was well worth reading. 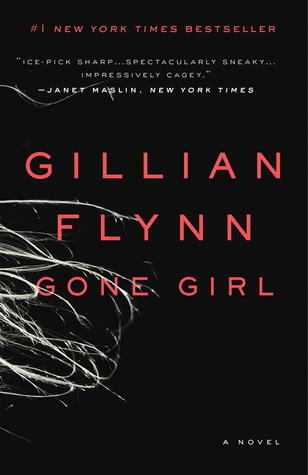 A few even expressed interest in reading Flynn's other work and in seeing the upcoming Gone Girl movie. Although there was some discussion about what makes an author capable of creating such nasty characters and such a disturbing plot, Gillian Flynn seems to have won new fans in Augusta. The next Book Club meeting will take place in the library at 6:30 p.m. on Wednesday, May 14. The May book is The Supremes at Earl's All-You-Can Eat by Edward Kelsey Moore. Copies have been ordered for current Book Club members, but new members are always welcome to participate. Any first-time members can order a copy through the MORE system or talk to library staff to obtain copies. Please contact the library at (715) 286-2720 or aulib@augustalibrary.org if you would like more information about this or other Augusta Memorial Public Library programs.